I’m lucky enough to be in Boston this week at the Independent Educational Consultants’ Association conference. One of the great things about these conferences is that we get to visit schools in the area. 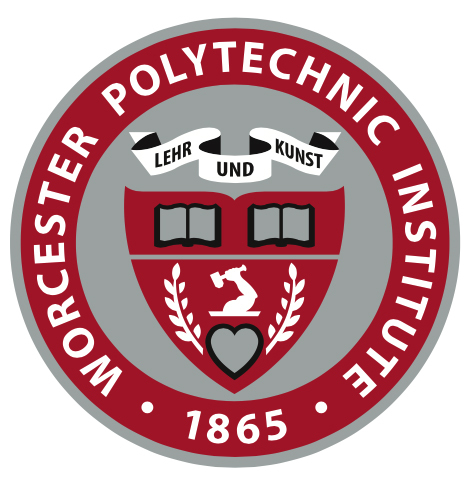 Today’s profile is on Worcester Polytechic Institute. WPI is less than an hour outside of Boston and has around 4000 undergraduate students who mostly choose majors in technical fields like engineering and computer science. What makes WPI unique is its focus on merging theory and practice and teaching kids how to use their knowledge to positively impact society. Although the school year is divided into four intense and fast-paced 7-week terms, students say that the atmosphere is collaborative and supportive. There’s less of a focus on grades and GPA and more on learning skills and developing creative ways of thinking. WPI offers a fairly flexible curriculum which is unusual for STEM majors. Additionally, students have nearly 4 months off during the summer to pursue internships and co-ops. One of the distinctive features of WPI’s curriculum is its focus on project-based learning and hands-on experiences. Students work on real-life projects that are sponsored by companies. They learn how to identify and solve issues that can make a difference in people’s lives. Nearly 40% of freshmen choose the Great Problem Seminar, while other students work on the Interactive Qualifying Project and the Major Qualifying Project, a senior capstone experience that requires students to work in groups to address an issue in their professional field. Many students who choose engineering at other colleges find it difficult to fit a study abroad experience into their college years. Not at WPI! The University has centers all over the world that are staffed with WPI faculty members, so students can learn about other cultures without losing any academic time. WPI makes a lot of sense financially. Whereas there are many schools that offer a bachelor’s and master’s degree concurrently, students usually need 5 years to complete the requirements. At WPI, students can achieve “more in 4”: they can earn an undergraduate and graduate degree within 4 years. In addition, co-op jobs can pay up to $20,000 and graduates have an average starting salary of $66,000. As for the numbers, you’ll need pretty good stats to be in the range of accepted students. Applicants average a 3.87 GPA and the middle 50% of ACT scores is 27-32. WPI has a 46% acceptance rate. Most applicants have some experience in high school with Robotics, Scouting, and tinkering. If you’ve loved taking apart stuff around the house and your parents know you as a “warranty voider,” you might have a home at WPI. The program is intense and immersive, but if you love figuring out how things work WPI could be worth a look. For more information about Worcester Polytechnic Institute, visit wpi.edu. Previous And the Winner Is . . . You! Excellent profile of Worcester Polytechnic Institute. Worcester Polytechnic Institute is the great institute.